The Sweater Weather is finally coming to an end. I’m surely going to miss wearing comfy sweaters, but hey, Summer has arrived, and it definitely has its own charm. Bring out your summer dresses, ladies! I’m not really into print because it’s kind of hard for me to just try to pull it off, but this jumpsuit is too cute for me to ignore, especially when paired with red heels. This outfit screams SUMMER. I usually stay with “safe” colors because I find it hard to mix and match with bright colored clothes, but I think I was able to make this outfit work somehow. 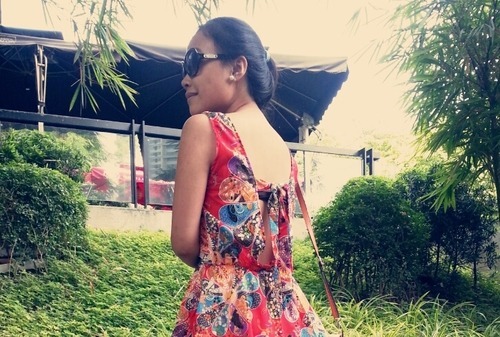 This entry was posted in Photos, Vogue and tagged fashion, ootd, summer. Bookmark the permalink.